Good design and presentation aids in quick sales and often means homes can achieve a premium. More than 175 million people use Pinterest around the world each month; many of which use it as a useful tool for spotting interior design trends. Sites like Houzz also serve as great platforms for those looking for insight on architecture, design and home improvements to get you in the makeover mood but for some instant inspiration here are our top tips to stay on top of the latest interior trends for 2018. The Clock Tower is available for a guide price of £1,600,000 through our Burnham Market branch. This year tradition has taken a turn with a design that oozes both comfort and opulence. 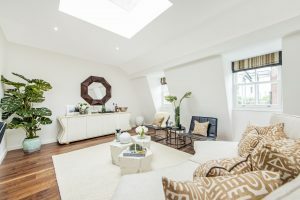 According to the Homewings Interior Trend Report, residents on the Cornish coast have mastered comfortable chic in their homes but the same can be said for this property in Burnham Market. This magnificent five bedroom converted Coach House boasts an array of warm, earthy tones, mismatched materials and wooden furniture that can easily be switched between seasons. 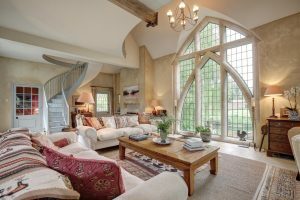 However, the patterns are juxtaposed by full height gothic stone mullioned windows and a sweeping staircase, which leads to an open mezzanine. This two bedroom apartment in Knightsbridge is available to rent for £3,150 per week through our Mayfair branch. GDC, brought this style to his Knightsbridge apartment, which is hidden away behind a traditional white stucco-fronted exterior. 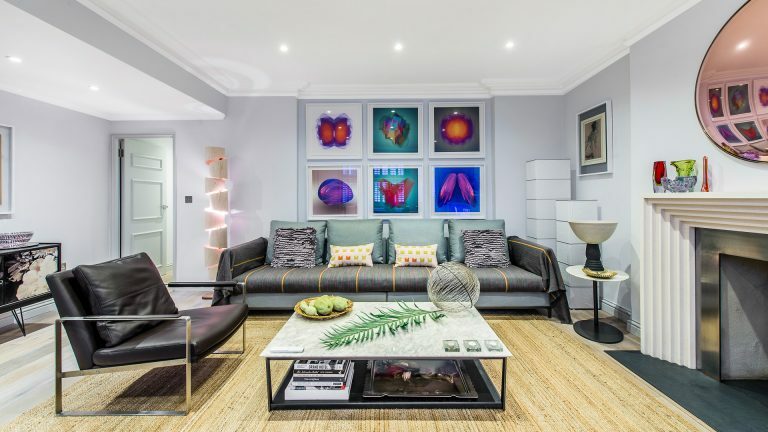 The eclectic home comes complete with statement art pieces, sculptures and photography from around the world, in a bid to display a distinct expression of individualism. The design of the house revolves around four main themes; eclecticism, 21st century modernist metropolitanism, mid-century modern, and upcycling, with traditional 19th century features contrasted with striking modernist artwork, such as a cut-out portrait of Lenin. If you want to channel this style, try Vlad’s 10 second rule: if a piece of furniture or artwork doesn’t capture your attention for more than 10 seconds don’t include it in your home. This duplex penthouse is on the market for £1,250,000 through our Mayfair branch. Simple Scandinavian styles have been on trend for a while and we can expect this to continue in 2018, but this year they will be combined by many homeowners with brass features and different stone finishes. The interior design of this two bedroom luxury home, part of a boutique collection of new apartments, is good example of this in play. The penthouse’s interior plays host to an array of ‘Scandi’ features, from the use of light, muted colours and wooden floors to a host of exotic greenery. This is nicely contrasted with a mix of matte black, marble, brass and clean lines that contribute to the chic and elegant style of the home.